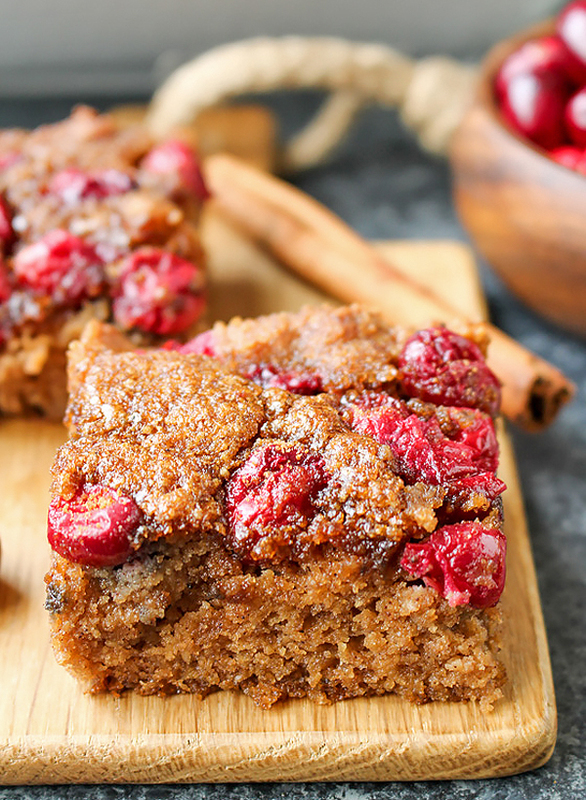 This Paleo Cranberry Orange Snack Cake is so quick and easy. 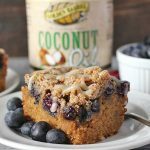 It makes a great breakfast or dessert and is gluten free, dairy free, and naturally sweetened. So what makes this a snack cake? The fact that it is mildly sweetened and there is no frosting. I guess the fruit also helps. 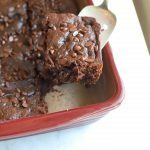 It really is perfect for snacking and can be enjoyed straight from the fridge or warmed up. It’s healthy enough to be enjoyed for breakfast and even easy enough to make in the morning. This cake comes together so fast. 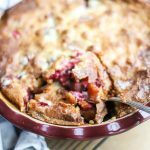 Everything is mixed in one bowl, scooped into the pan, topped with the cranberries and baked. You can go from mixing to eating in under 40 minutes. I cut this cake into 9 pieces, but they are kind of small and I actually think it would be better to serve in 6 pieces. You could always double the recipe in a 13×9 if you have a larger group to serve. The cranberries soften and are sweet, yet tart. 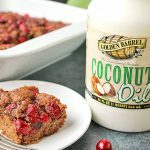 The cake is moist and fluffy and the small sprinkle of coconut sugar on top adds just a touch of sweetness that balances with the cranberries. Here’s a little piece of real life. I took pictures at 9am and my daughter wanted some cake. 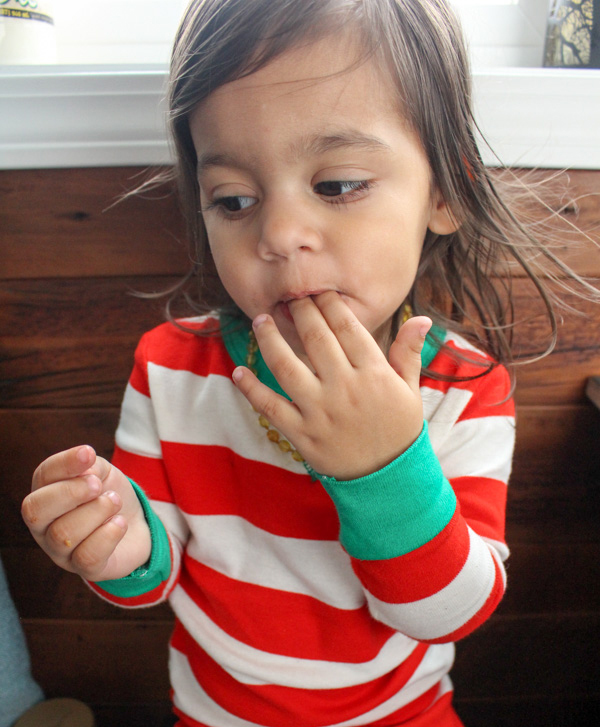 She was still in her jammies, but of course I let her have some. I made this twice- the first time with no orange zest and juice and the second time including them and wow, it really makes a difference. 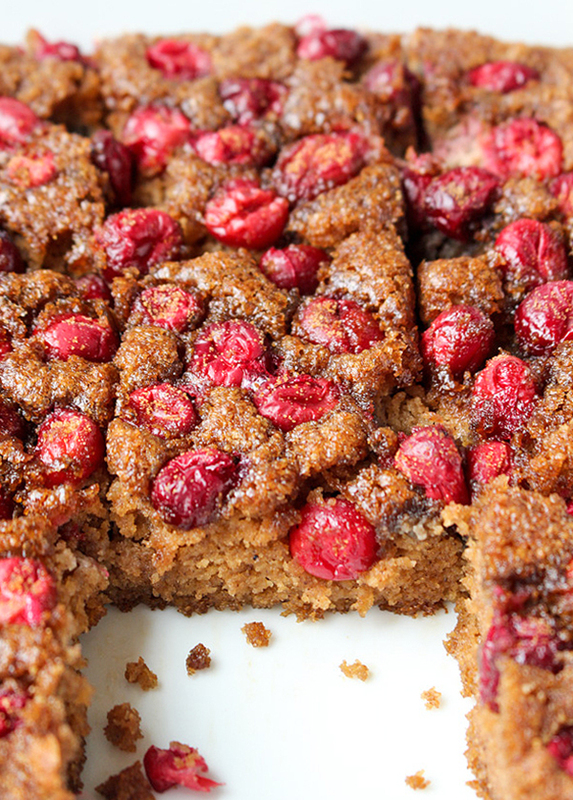 The orange flavor isn’t strong, but it compliments the cranberries perfectly and adds a little sweetness. 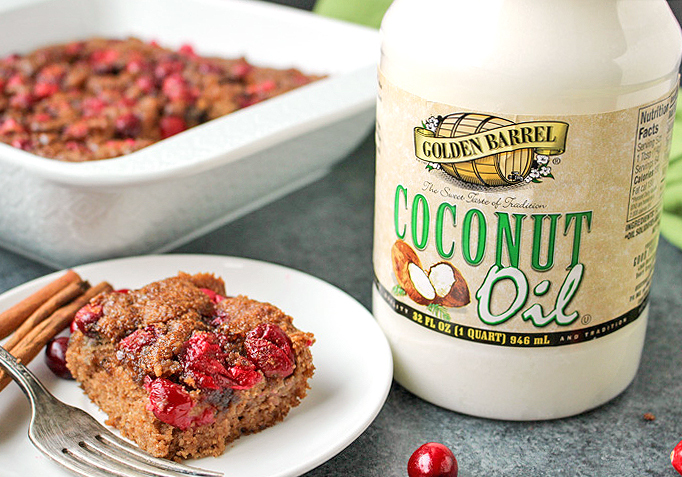 It really takes this cake from okay to super delicious! This would be so perfect for Christmas breakfast or brunch. 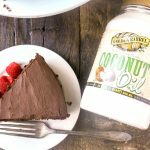 An easy, delicious, healthy cake that everyone will love! I hope you have a Merry Christmas and Happy New Year! Preheat oven to 350° and line a 9 inch square pan with parchment paper. Set aside. 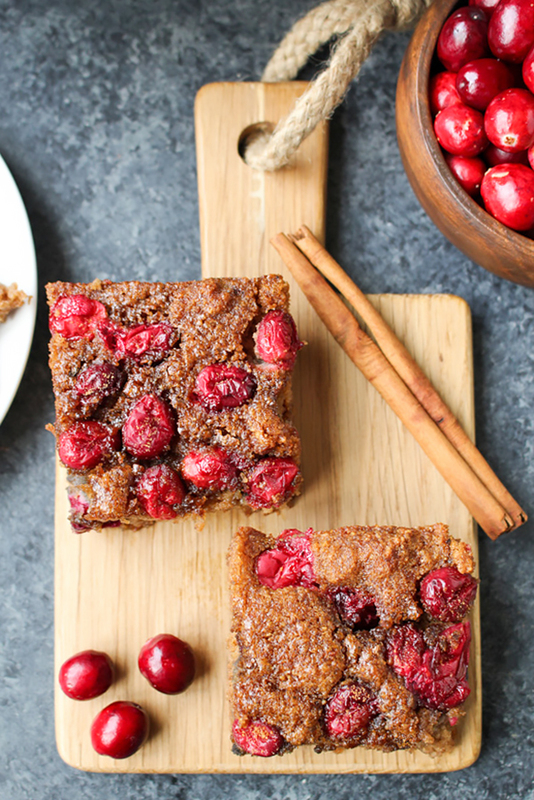 In a large bowl, combine almond flour, coconut flour, coconut sugar, baking soda, cinnamon, and salt. Stir until fully combined, breaking up any lumps of almond flour as needed. Add in eggs, coconut oil, almond milk, orange zest and juice, and vanilla. Stir until well mixed and no dry spots remain. Pour into prepared pan. 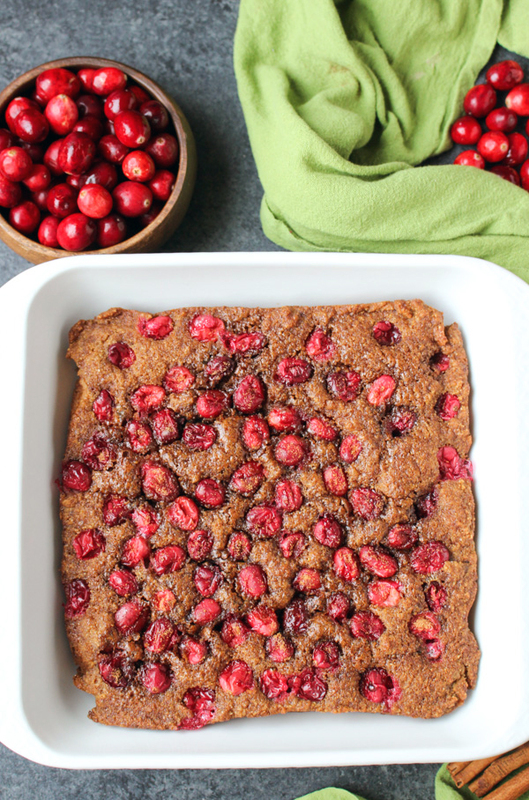 Top with cranberries, spreading them as evenly as possible. 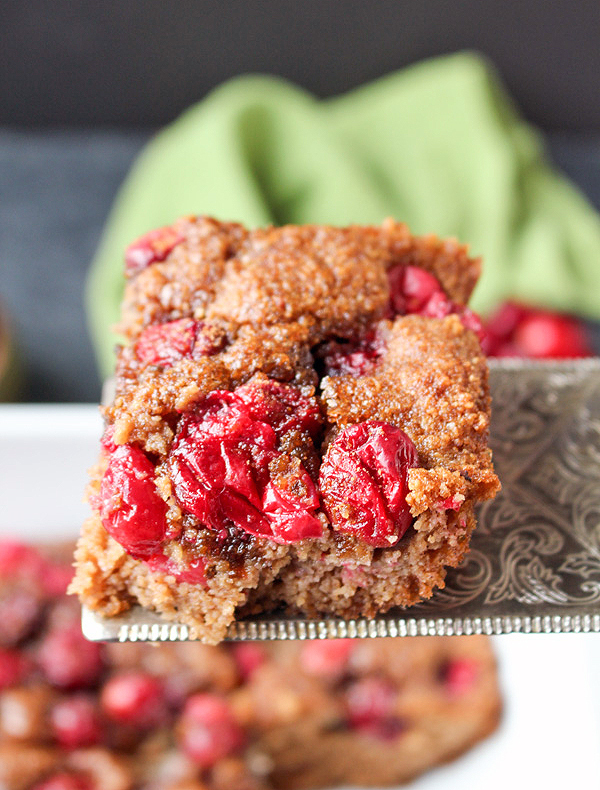 Sprinkle the 1 tablespoon of sugar over the cranberries and bake for 30-32 minutes. Can stay at room temperature for 24 hours, covered. After 24 hours, store in air tight container in the fridge.